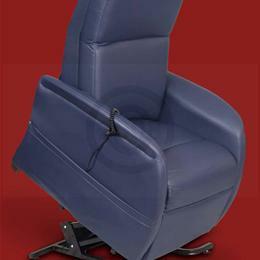 The Milan is the latest Golden lift and recline chair featuring MaxiComfort zero gravity positioning technology. The Milan is a stylish new look in lift and recline chairs with a contemporary style all its own. The Milan features a taller, foam-filled back, stylish butterfly armrests and a smooth pocket design. Are you looking for a contemporary, stylish, European-inspired lift chair? The Milan is exactly what you're looking for!